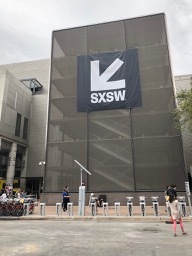 SXSW – South by Southwest – started in Austin, Texas in the late 1980s as a small get-together that, to the surprise of its organizers, attracted 700 people in its first year. It is now a massive technology conference and film/music/comedy festival, with a few hundred thousand people in attendance this year. Just to give you an idea of the kind of pull SXSW has, Tesla’s Elon Musk made a surprise appearance, Steven Spielberg is here screening “Ready Player One,” Arnold Schwarzenegger is here being Arnold Schwarzenegger (he requires no hyperlink), the Mayor of New York is sharing a stage with three of his fellow mayors, and there are scores of bands that I’ve never heard of because I’m not young enough any more. 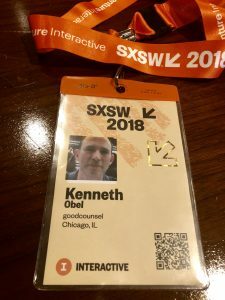 Since goodcounsel is actively engaged with Chicago technology companies, I am here at SXSW to keep abreast of emerging developments in the interactive world. (Spoiler alert: the future is here!) Plus, I wanted to try Austin’s legendary barbeque.